I’m not sure who pissed off Raijin and Fūjin, the ancient Japanese gods of weather, but it sure seems like somebody did, since three typhoon-like storm systems just slammed into Japan at once. The result was a lot of flooding, turning many Tokyo streets into rivers, and tunnels into water pipes. Which some people were driving through. Yikes. That’s someone’s Monday morning commute through a tunnel on the Chuo Expressway in Tokyo. 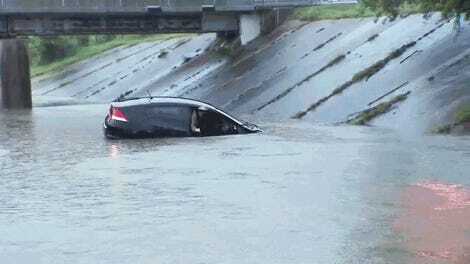 Driving through a flooded street is bad enough, but in a tunnel? That’s way worse. Whoever is driving here is having water splashing nearly up and over the hood. The engine’s intake can’t be more than a few inches away from that water, meaning whoever this is, unless they’ve got some intake snorkel I can’t see, is flirting with hydrolock, and being stuck inside an underground tunnel that’s filling with water. You're driving in a water pipe. 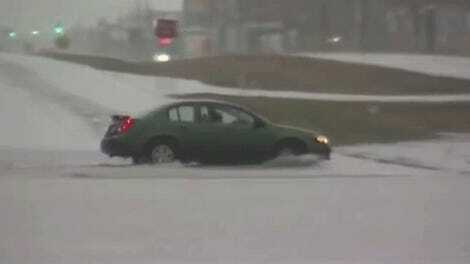 What The Hell Was This Person Thinking When They Drove Their Car Into A Huge Flood-Lake?